...and ended up with an Ulgumgi Shaman! Shaman Ronga is an old and disrespected spellcaster in the Ulgumgi society. He summons aethyric energies to aid the hirds in battle, but all he gets in return are wary gazes and muttered insults. Only selected few know of his origins, which are said to be wreathed in darkness and misery: his back is hunched, his eyes have been covered with bands of rusty iron and he carries an ancient grimoire on his belt that he's unable to read anymore. Remember this amazing piece of art drawn by Baron Klatz during the Twilight Prince campaign? 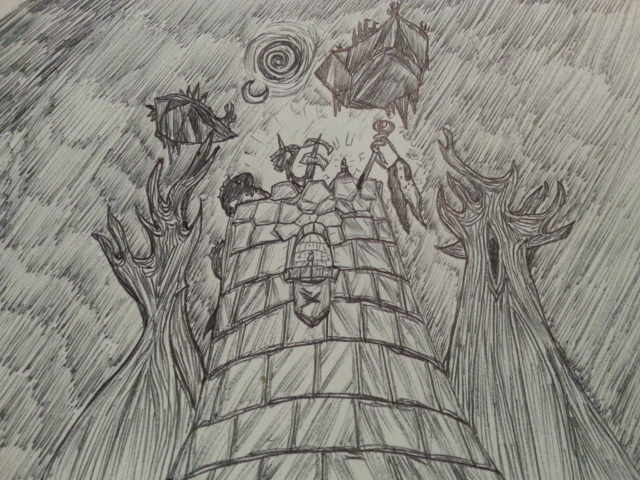 It depicts strange tower constructions found by a Puffington scout in the shadowy forests of Ulgu, the Realm in which an entire regiment of imperial soldiers was lost during the campaign. A ramshackle tower pieced together from all available resources, including old wargear and banners of the lost regiment. The scout didn't live long enough to tell the tale of these towers himself, but one of his colleagues found him dead on the forest floor with a crumpled piece of parchment in one cold hand. It turned out to be a rough sketch of these constructions, ready to be taken back to the Puffington Empire for closer inspection. 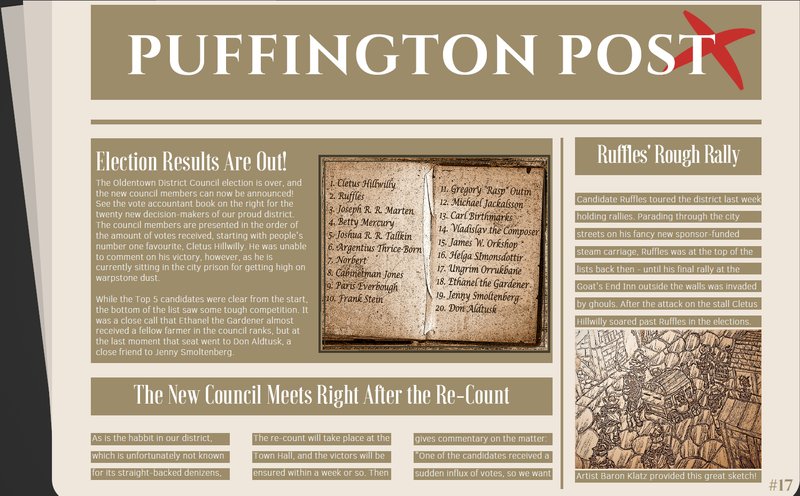 Time has come, once again, to reveal a new chapter to the constantly developing novel-like narration of my Warhammer Fantasy Roleplay group's adventures! This time around the players begin the chapter with a two-day downtime, during which each of them saw to their own businesses alone or in temporary pairs. As I cannot reveal any player character's full doings during those two days (my players are reading this), I decided to describe the player downtime through the eyes of three NPCs from the local populace; three regular villagers from Mortenhoff. I say this as a forewarning as you'd most likely have been rather confused suddenly seeing non-player names as chapter sub-headings! 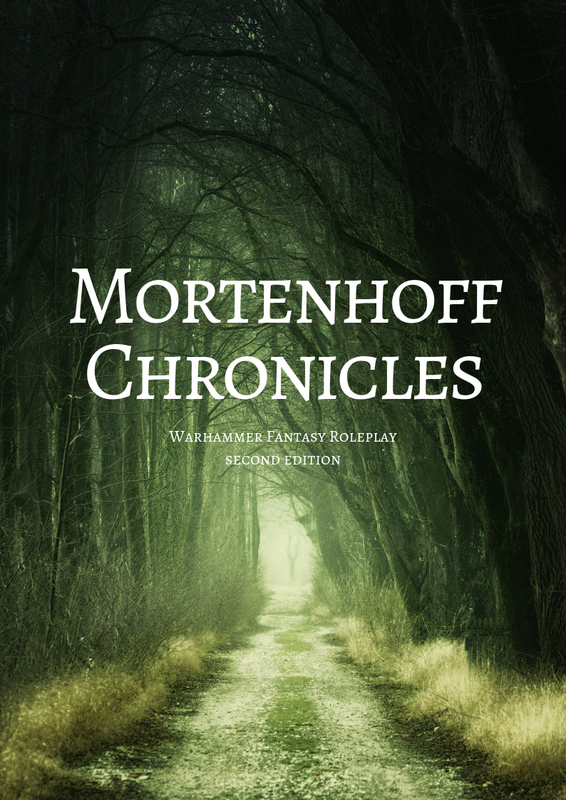 Be sure to check out Chapters One and Two for the group's previous adventures, especially if this is the first you hear of the Mortenhoff Chronicles. There's a reason I'm numbering the chapters and releasing them in portions, and it's that you really need the chronology to understand what's going on! Here's the link to Chapter 3. It's the lengthiest chapter so far, so I will be releasing it as its own file. See the other link below this one if you want the entire collection so far, complete with various little fixes to typos and such. 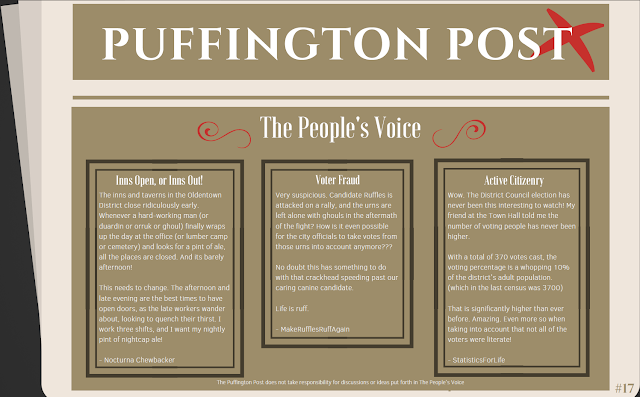 It is time for another one of those narrative battlereports of mine. This one pitted my Sunsplitterz against a force of Stormcast Eternals, a foe I haven't faced in a while (and one that my orruks have never before fought against!). 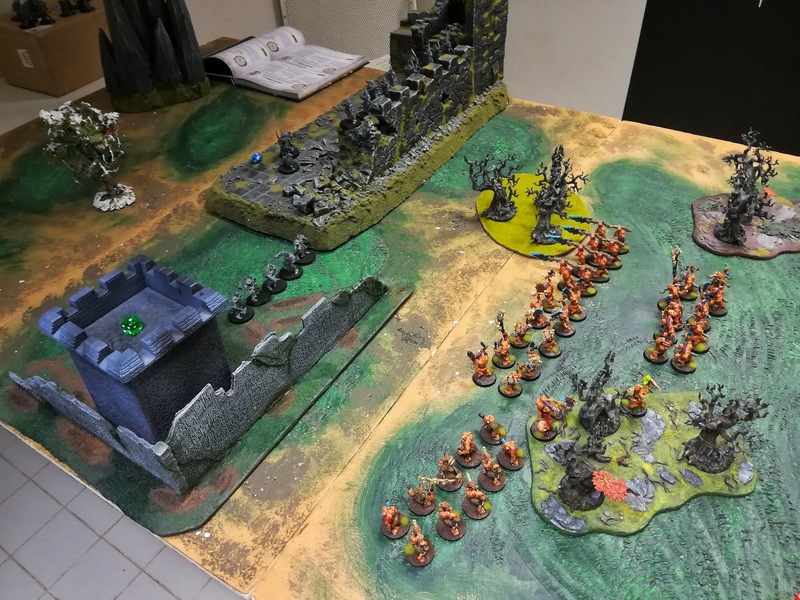 This battle is part of a Grand Alliance -based map campaign run at our local game store, and my orruks are now attempting to push into a region called the Everkeep. Sounds ominous, right? We played the Siege Battleplan: The Great Wall from the Age of Sigmar Core Book. I strongly recommend it: it features two objectives beyond a line of defensive positions, with the attacker having to take them both or die trying! The defender starts with half his army on the field, with the rest marching in on aroll of 5 or 6 from the 2nd battleround onwards. What's more, the reinforcement roll doesn't get any better from that initial treshold of 5-6... They might not arrive at all if the dice don't favour you. How did sticks and stones fare against heaven-forged sigmarite armour, then? Read on to find out! The day dawned bleak as Warboss Grom led his warband towards the overgrown walls looming in the distance. The region they were pushing into was heavily fortified by the forces of Order, but Grom had chosen this place to be the target of their attack for a reason: with the majority of their tribe still mustering its numbers for a full-scale invasion, the Warboss and his warband had been sent to scout out the enemy region and to claim a foothold there. What better to test their mettle against than an overgrown bastion manned by roughly a score of humies? Too busy for campaigns but you'd really like to try out one of those map ones someday? You know, those that take forever to arrange and a century to play but you still keep dreaming? Now is your chance, and it won't even take that long! 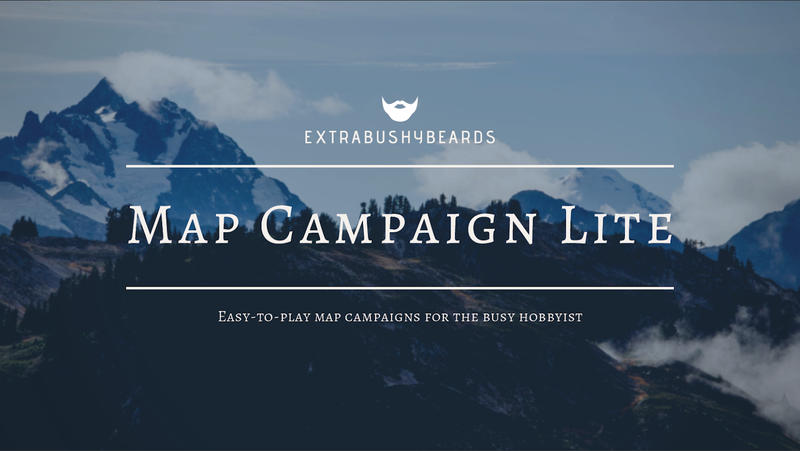 I present you with Map Campaign Lite: a campaign system for those AoS players who would love some continuity in their games but would like to retain their freedom and make use of their limited hobby time. It is a conversion of an old campaign system found in the old Warhammer Fantasy Battles 6th Edition Rulebook. Enjoy! February has come and gone, and my Ulgumgi army has obtained some vanguard units to bolster its numbers. 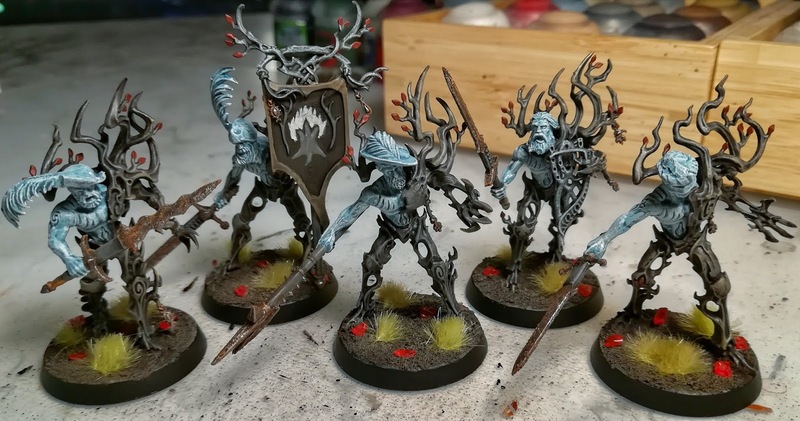 First of all, I added a unit of Ash-Revenants: vengeful souls of incinerated Freeguild Greatswords from the Battle of Twinpoints that have been trapped in the Ulgu forests for decades. Secondly, I added a Myrkrvollr Shade: an Ulgumgi assassin that stalks the shadowy paths crisscrossing the woodlands of Ulgu, striking down unsuspecting travellers and nosy intruders. 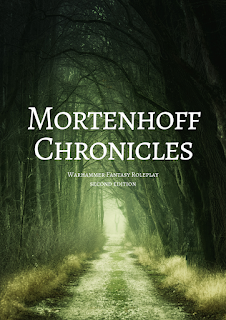 It is time to release the second chapter of the Mortenhoff Chronicles, a novel-style record of my Warhammer Fantasy Roleplay group's adventures under my omnipotent GMing. This chapter tells the story of the group's first actual quest, when they have already had a bit more time to get to know each other. Captain Schniller is sending them out to check on a remote inn at the edge of the Middle Mountains. This pdf-file also contains the first chapter for easy reference. Chapter 2 begins on page 23! Time to kick in the year's first battlereport. So, what's better than an Age of Sigmar narrative battle? Two Age of Sigmar narrative battles, of course! 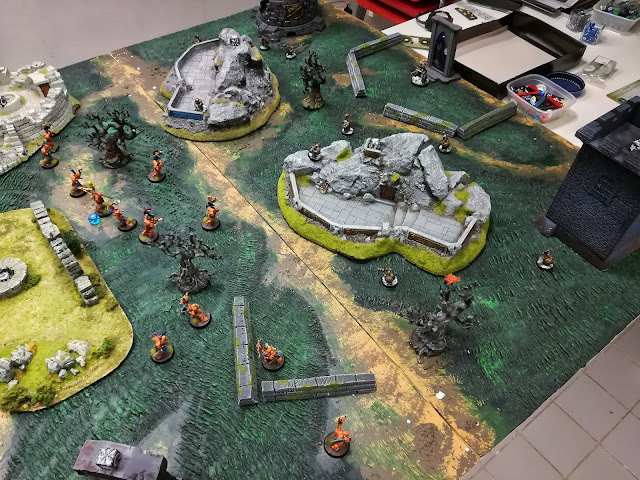 We played Battleplan: Key to Victory with Skirmish rules before following up with Battleplan: Monolith using the regular ruleset. The idea was that my Sunsplitter orruks are assailing a duardin outpost, but before launching the actual attack the sneaky savages try to wrest control of a nearby Realmgate in the hopes of using it for flanking maneuvres in the actual battle. The first battle determined whether or not the orruks can deploy a flanking unit in the final battle by using the Realmgate. The second battle represents the actual raid the Sunsplitterz launch on the duardin holdfast of Gazadan! Grom the Punch of the Shifty Mountain was determined to raid the bursting granaries of the duardin holdfast of Gazadan. After the defeat of the Sunsplitterz tribe in the Flamescar Plateau, they had wandered from Realm to Realm, aimlessly following their prophet, Wozoc Squinteye. The tribe had known little success in the Firestorm War against all the ghosts, humies and daemons that had kicked their orange arses over and over again: now their numbers were lower, and their abysmal luck always seemed to throw them into barren wastes and other environments were food was hard to come by. Dozens of boyz had already been eaten by their fellows. Now Grom saw a chance to put things right once again. He would raid the duardin food storages to sustain the tribe until they could once again find a suitably epic scrap to enjoy. To this end he had sent Wardokk Muhgar Bonejaw to take over a nearby realmgate in the dead of night: it was cunning to send a mob of boys to the enemy's flanks, Grom had heard. Today you are witnessing something truly extraordinary and magnificent. In addition to the blog's usual narrative battlereports, campaign updates, painted models and the occasional short story, I'll start posting a longer story in chapters of around 15 to 30 pages a piece. How is this so extraordinary? I have never posted anything written that was grander than my pseudo-philosophic hobby-ponderings, campaign (and one-off) short stories and battlereports. Today is the day I exceed myself by posting the first chapter of Mortenhoff Chronicles, a write-up of my Warhammer Fantasy Roleplay group's adventures in a campaign I'm currently GMing for them. Your eyes are not deceiving you. I am actually writing the constantly evolving story of my players' exploits in the Warhammer RPG in a novel format; dialogues and all. It is a story of what has actually happened to the players in the game: a combination of my memory, my GM notes, the player notes and a tiny pinch of artistic freedom. We are playing by the 2nd Edition rules, and most of the adventures so far have taken place within the Empire. The Imperial Year is 2522 and the Old World is just as you remember it from the time before the Storm of Chaos. I wanted my players (many of which were not familiar to the setting) to experience a more lively Warhammer world, so I cancelled the entire war. Yeah, I did. It's in my power, I'm the GM. There are also some minor changes I've done to the world in order to fit it into my campaign, things like new towns and villages, fixes to population sizes and (non-canon) alternative fates and behaviour for some lords/ladies of the realm. Chapter 1 begins with the introduction of the player characters as they meet each other for the first time. This is basically what happened in our first game session. Before the session, however, each of the players got to play a short introductory solo-mission that I had tailored to their unique backstories: missions that got them all in the same location for the first group session. I found this the best solution for introducing players to the basic mechanics of the game and the feel of the Warhammer world: each of them got to interact with the game world alone with the GM and to figure out the way they wanted to roleplay their characters. By having the chance to actually live through some of their own backstories, I feel the players were more confident in roleplaying and simulating their character's decision-making once we started the group sessions. I have the Chapter 2 ready and waiting, and I'm currently working on the third. It will probably take up until the 4th Chapter for me to catch up with our group's current situation, but I'll get there eventually! In the meantime I'll be dropping these previous chapters for you folks to read through. 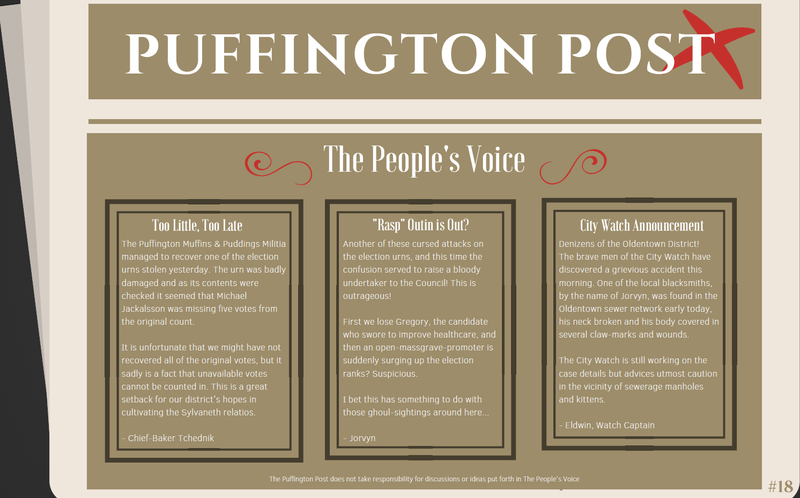 The story itself is told through the viewpoints of the player characters, but as my players are also reading this (I'm actually writing this for them, you lucky dastards just get a glimpse at it on the side), I will not be revealing anything crucial about the PCs or their backstories in the Chronicles until something comes up in the game itself. A HUGE thanks to my dear players for bringing life to the pile of .txt-files and notebooks that is my campaign! All the hours I spend preparing the material and coming up with crazy stuff would be for naught if it weren't for them turning it into a wonderful adventure with their dedicated roleplaying and intriguing characters. They were also kind enough to let me share their heroic deeds here in the blog! The first month of the Tales of Instahammer community event is nearing its end, meaning that it is now time to show off what I have accomplished so far. 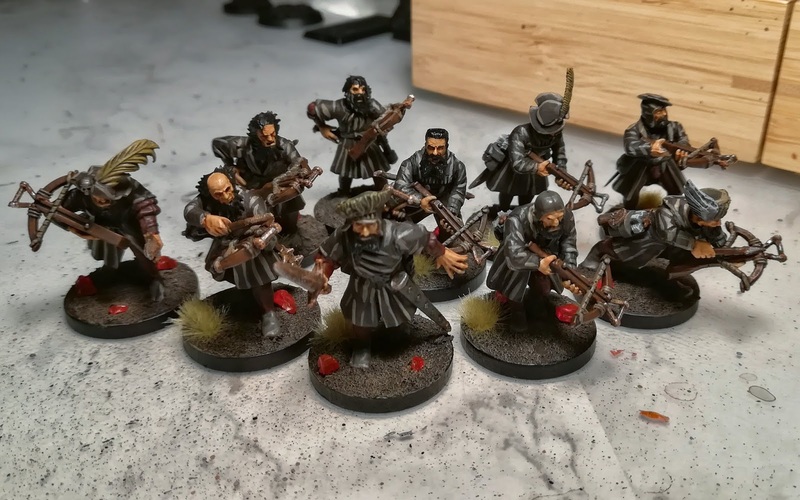 The first month was all about getting your warband started, hence the theme Making an Impact. My impact was a unit of 10 Ulgumgi Trappers, a unit of 10 Ulgumgi Hirdmen and one of the army's heroes, an Ulgumgi Thegn! That easily checks out the minimm requirement of one unit and one hero. I also completed the Secret Challenge for January by painting a standard bearer and taking a groupshot of the lot by the end of month. Here they are in all their glory! Time has come for me to announce one of my first new projects this year: the Tales of Instahammer 2019. 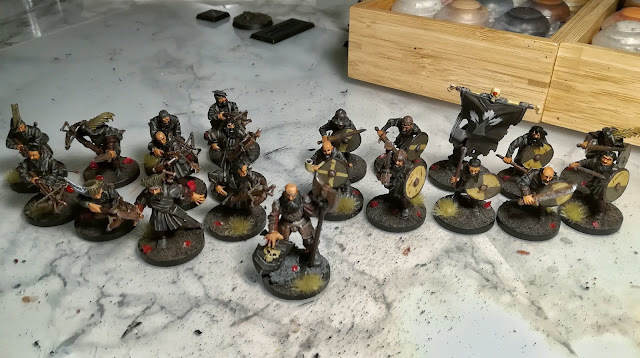 I joined this amazing hobby event to feel the grand power of community inspiration and pressure, which I hope will see me building myself a new finished army by the end of June. So, what is my Instahammer project? A brand new Order army, of course, with Sylvaneth and Free Peoples units combining to make up a totally useless but extremely thematic force for me to play some sweet narrative games with. Some of you might recall the events of the recent Twilight Prince campaign. My army represented the Breuer's Regiment of the Grand Army of the Puffington Empire, which got drawn into a perilous quest to seek and defeat a Slaaneshi daemon trapped in the woodlands of Uglu. 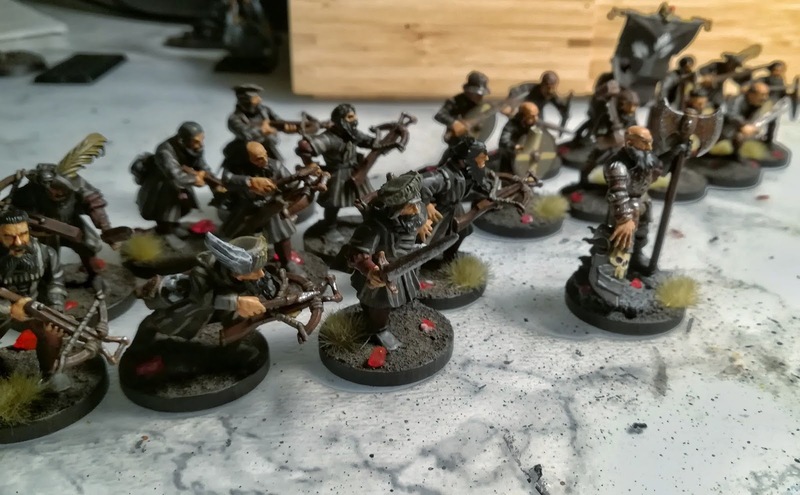 Led by a cold Gunmaster and a power-hungry Battlemage, the valiant freeguilders fought their way through many bloody battlegrounds to reach their destination, only to find a duardin army blocking their way right at the end of their arduous journey. Urged by these two warmongers, the soldiers attacked the duardin and were mercilessly slaughtered at the Battle of Twinpoints. The human officers were left at the mercy of their surviving miseld underlings by the duardin Thanes, who didn't see the wretches worthy of their attention. This is a story of what happened afterwards. Meet the Ulgumgi, a bloodline of humans living in Ulgu which branched off of the Puffington Empire that fateful day the Breuer's Regiment was defeated. The survivors of the army scattered into the dark woodlands of Ulgu after dealing harsh judgement upon the leaders who led them to fight an allied race. No-one yet knows what actually happened to the regiment's officers, but none of them have been seen ever since. 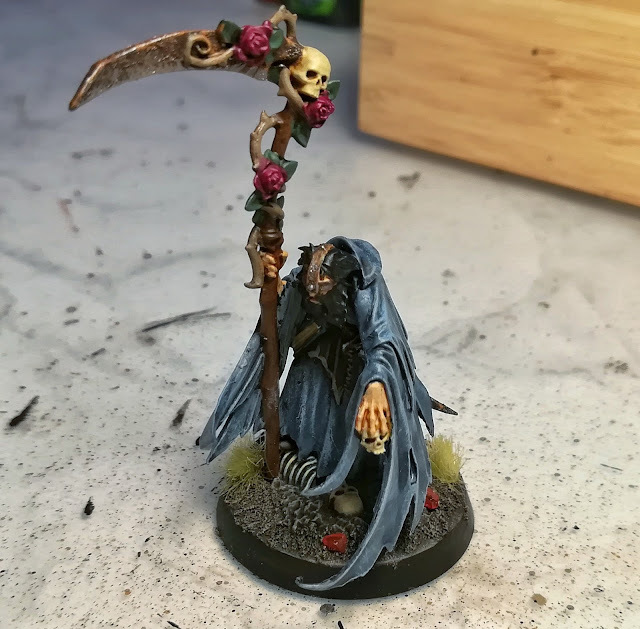 Greetings, and welcome to the hobby year 2019! This beauty here is the handiwork of Anpilcraft, a truly skilled Russian craftsman who tailored this cup to my needs, based on my wishes of two colours and a single blurry screenshot of my blog's logo. It looks amazing, feels incredible and sounds like nothing short of wargaming ASMR when you rattle some dice in it. 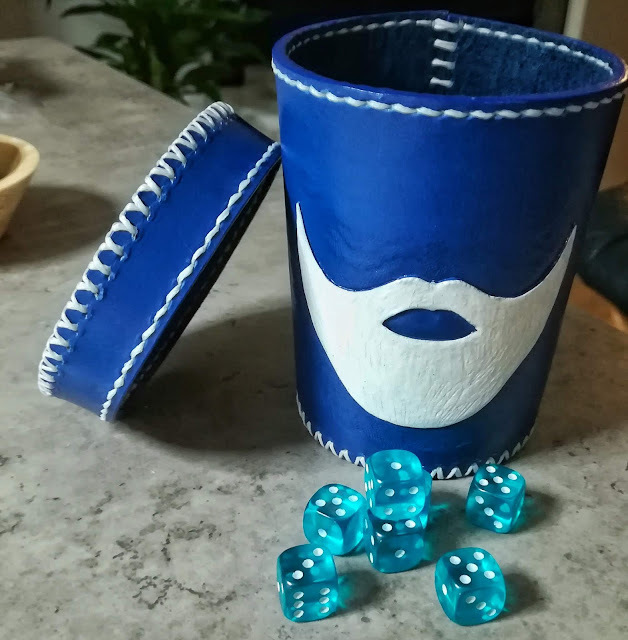 It has a base structure of dyed leather with the beard logo embossed on its surface, all bound together with pure white thread. The inside is smooth, royal blue leather that muffles the rattling of dice to a pleasant level. It can hold a ton of 16mm D6s, and is sturdy enough to use as a means of transporting the dice! Stunning work. Here's a picture of the very first roll I made with the cup: two 6s and five 5s. That's more than I usually roll during a 2000-point game! 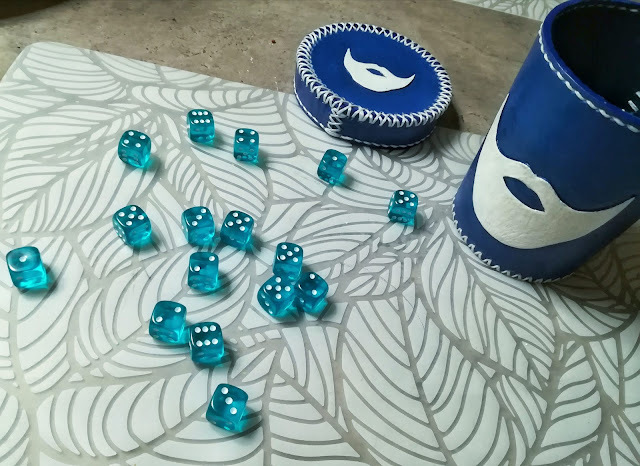 I say it is safe to deduce that this hand-made miracle has drawn the attention and appreciation of the Dice Gods. I highly recommend checking out Anpilcraft's Instagram page for an entire gallery of his works and working methods. That man knows what he's doing. Armed with this newly-acquired hobby tool, I expect great success in my upcoming battles and campaigns this year. The Dice Gods have had the tendency not to like me; let's hope this mighty totem will change my luck! 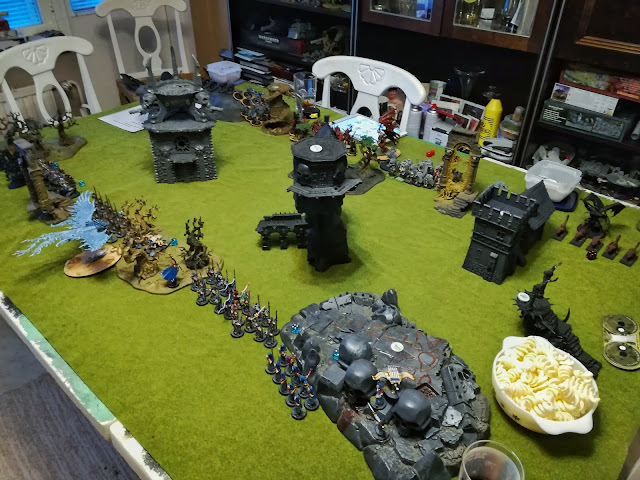 Here we have a 2000 points non-campaign battlereport to wrap up the year, my Aelves against my friend's Blades of Khrone. The scenario was generated from the new Battleplan Generator that comes with the Core Book, giving us a straight-up "kill 'em all" game where nothing but slain enemy models and their Wounds mattered. Without further ado, here's the game! Lord Sundamar Blazeborn surveyed the green field that stretched out far below him, his tactician mind memorizing the buildings and ruins that dotted the scene. A'undtur, his great red dragon, growled approvingly as it carried its aelf companion through the clouds. "Daemons," the ancient being mind-sang to its rider. "Daemons of the Blood God, hungry for the lives of mortals." "And barbarian tribesmen, too. I can smell them all the way up here," Lord Sundamar sang back as he watched the ant-sized dots forming up into hordes and warbands on the field. Across the field from daemons and barbarians stood a glittering host in neat, arrayed ranks. This was Sundamar's force, drawn from the loyal members of the Order of the Moonserpent to reclaim the distant Farscry Holdfast that had been lost to Chaos a couple of months earlier. Their aim was to secure the holdfast and its surrounding area so that astronomers and loremasters could once again gain access to the holdfast's structural scrying engines. A special thanks to Baron Klatz for the amazing Muskrateer sketching! Check out more of his wonderful drawings at his picture gallery.